I hate seeing restaurants close….especially in areas where there’s not a lot of dining out options. I know the statistic that most restaurants fail within three years, but I always get a little sad when I drive by a place and see that it’s all closed up. I get much happier when I drive by a place that has been closed for a while and see someone has taken a chance of their own. That happened recently as I was driving down Douglas Avenue on Kalamazoo’s north side. 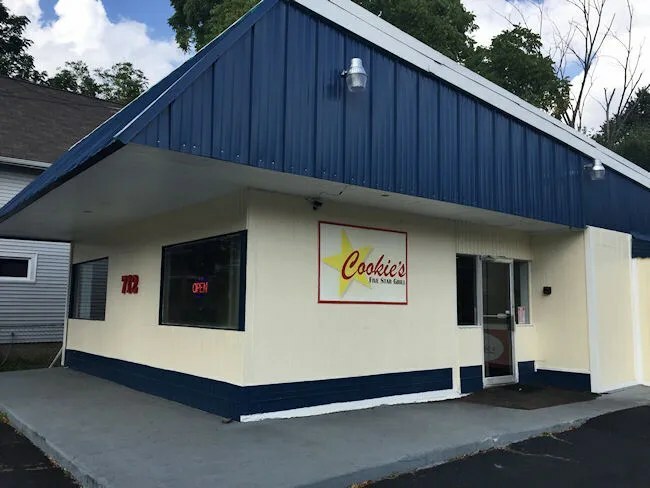 Cookie’s Five Star Grill is just north of the corner of Douglas Avenue and North Street. The building it now occupies has been many things over the years including a Wing Heaven and, most recently, Velt’s Soul Food. I don’t know when Velt’s closed but I know it’s been a couple of years. I last ate there in 2011. 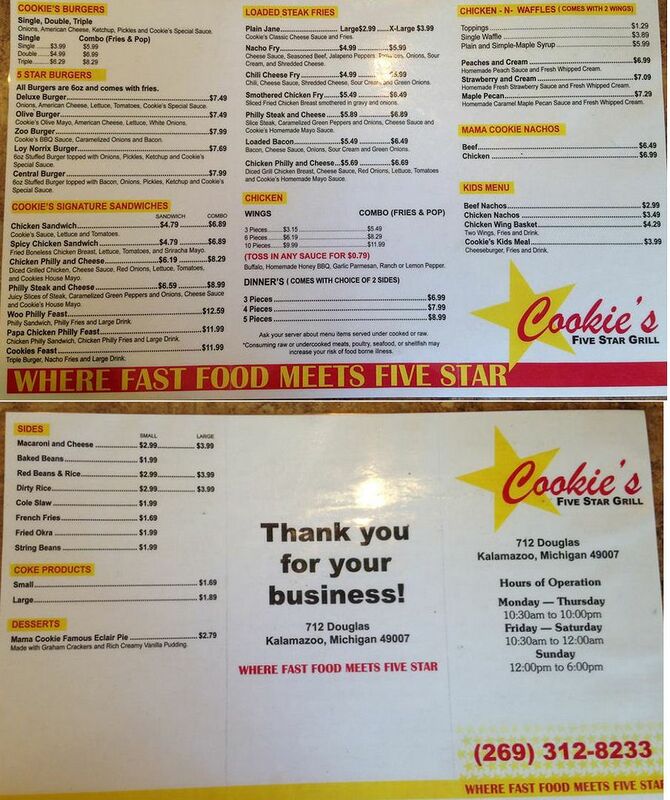 Cookie’s did a complete overhaul of the restaurant’s interior. I remember Velt’s as being pretty plain with an order counter by the door, linoleum floors and wobbly tables and chairs. It was a simple placed that served up some pretty tasty soul food. It definitely wasn’t a fancy place, but they weren’t trying to be. Cookie’s has cleaned the place up quite a bit. 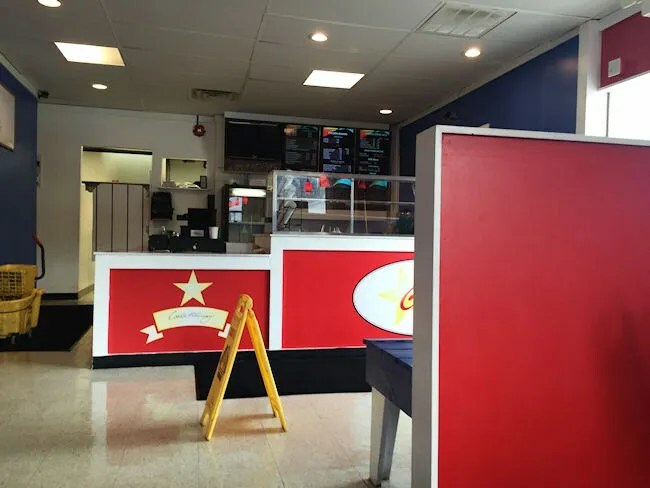 There’s fresh coats of paint on the wall, new dividers between the the order area and the dining space, new booths and chairs and an LED menu board hanging behind the counter. I stopped in Cookie’s around 4:00 on a Wednesday afternoon. There were some people hanging out with the employees, but there wasn’t anyone else eating. I was not familiar with the menu at all and had no idea what to expect when I walked in. The menu is really interesting. The bill themselves as “Where Fast Food Meets Five Star.” They do burgers, sandwiches, chicken, and loaded steak fries. It sounds simple, but they do more than just throw stuff on the grill or into the fryer. The burger options are single, double, triple, and there are even a couple of stuffed burgers named after the two high schools in town. The chicken comes in wing form or as 2, 3, or 4 piece dinners..but wait, that’s not all. They also do Chicken-n-Waffles which I would have tried had I not been getting my order to go. I was going to eat in the car, so I didn’t want anything too messy. I ordered a double burger with just cheese and an order of Loaded Bacon Steak Fries. The burgers usually come with onions, American cheese, ketchup, pickles, and Cookie’s Special Sauce. I think everyone was blown away that I asked for a burger with just cheese. The lady taking my order asked three times if I wanted anything other than cheese then the cook came out of the kitchen and asked twice more. I’m not a sauce person…at all. I like a simple, delicious cheeseburger from places like this. I wanted a simple, delicious burger and that’s actually what I got. The burger was two fresh beef patties with a slice of American cheese on top of both of them. It’s served on a simple sesame seed bun like you’d find at any number of fast food places. The burger was a little salty, but that’s exactly how I like it when it’s paired with a little bit of grease from the flat top grill its cooked on. 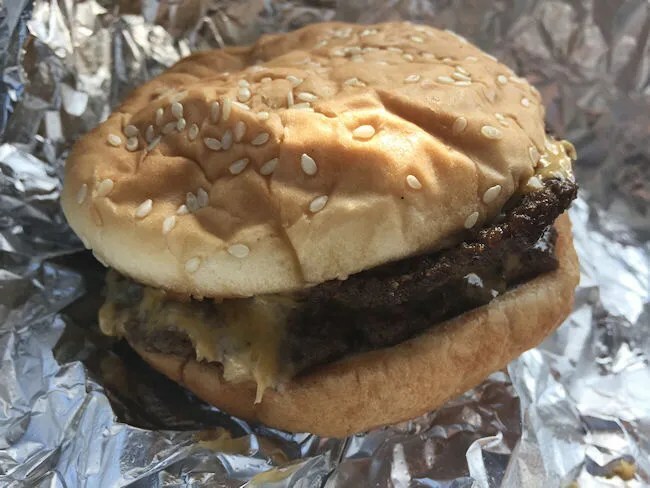 The burger is one of those burgers that really wouldn’t stand out in a competition of most amazing burgers, but it is a simple, delicious sandwich that will blow away anything you can get from a fast food place. The Loaded Bacon Steak Fries I knew were going to be a challenge in the car, but I really couldn’t pass this up. The fries themselves really aren’t anything special. They’re out of the bag steak fries. They’re tasty on their own, but in this case, they’re more of a delivery vehicle than anything. 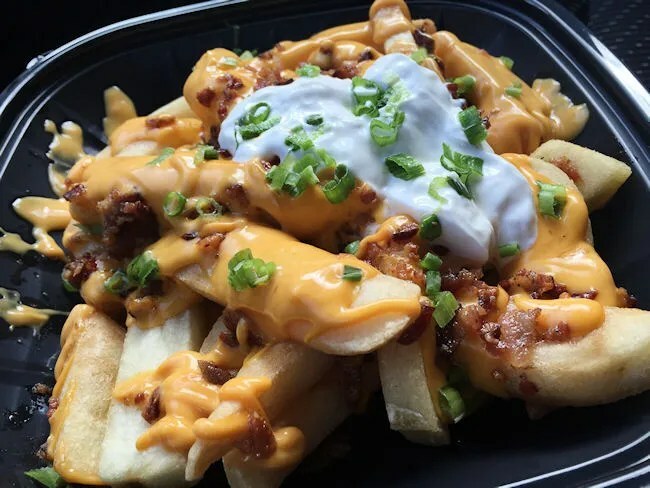 The fries are topped with bacon, cheese sauce, scallions, and sour cream. I really should have asked to leave the sour cream off, but I forgot so I dealt with it and it wasn’t that bad. The fries were delicious. They were a little crispy on the outside, but the cheese sauce just made everything soft and gooey. The cheese sauce is a nacho type sauce you’d get on some tortilla chips at a ballgame, but it was a perfect fit for the fries and crispy, salty bacon bits loaded on top. The meal set me back about about $11 before tip. 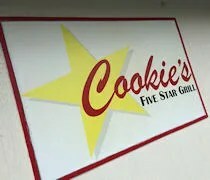 Cookie’s Five Star grill isn’t fancy. It’s a nice little place in a neighborhood that can really benefit from a good take out joint. They have a solid menu with some things you wouldn’t expect and while they use simple ingredients, they use them well to put out meals that you’ll make you happy you didn’t just stop for fast food somewhere.